A ceremony marking the feat was held yesterday on Koh Pich in Phnom Penh. Guinness World Record adjudicator Dangarikar Swapnil Mahesh certified the record. 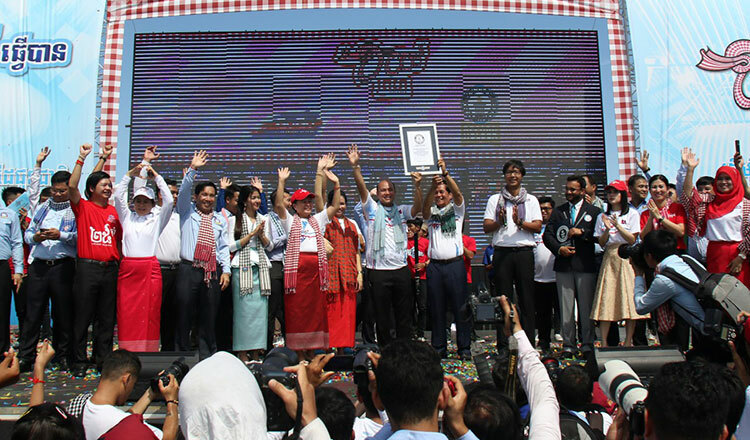 “The 1,149-metre scarf sets a new Guinness World Record for the longest scarf in the world,” he said. 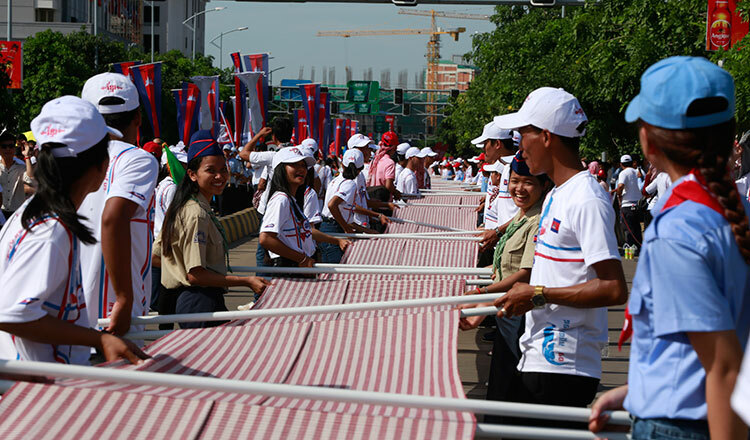 Hun Many, president of the Union of Youth Federation of Cambodia, and Phnom Penh Governor Khuong Sreng, along with hundreds of other government officials, joined the ceremony marking the feat with the youth that constructed the krama. The project was an initiative of GoGo Cambodia, an organisation established by youths to promote national pride. Weaving ran from February 13 until June 28 at Veal Preah Mehru, in front of the National Museum. The weaving enjoyed the patronage of King Norodom Sihamoni, Queen Mother Norodom Monineath Sihanouk, Prime Minister Hun Sen and his wife Bun Rany. Mr Dangarikar said after he assessed the krama that this was the first time that Cambodia had sent a krama to the Guinness World Records. No other country had done it before, he added. The weaving attracted 338,050 national and international visitors. At least 22,314 registered to learn how to weave and 19,771 contributed to the record. Visitors came from Phnom Penh and all the provinces while international tourists came from 57 countries around the world, mostly the United States, France, China, Thailand and Japan. 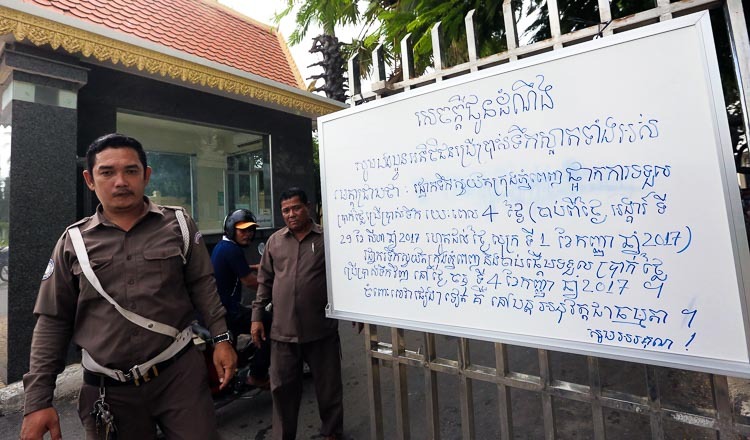 Mr Many said at the ceremony that he and all Cambodians congratulated the youth on the achievement because it drew on the energy of all Cambodians aged from four to 80 to work on the krama. He said it represented what it meant for joining together to achieve a new victory, which was a source of pride for Cambodians. Mr Many also thanked all the people who had joined the event.